Get 25% off ~ANYTHING~ RIGHT NOW!!!!! 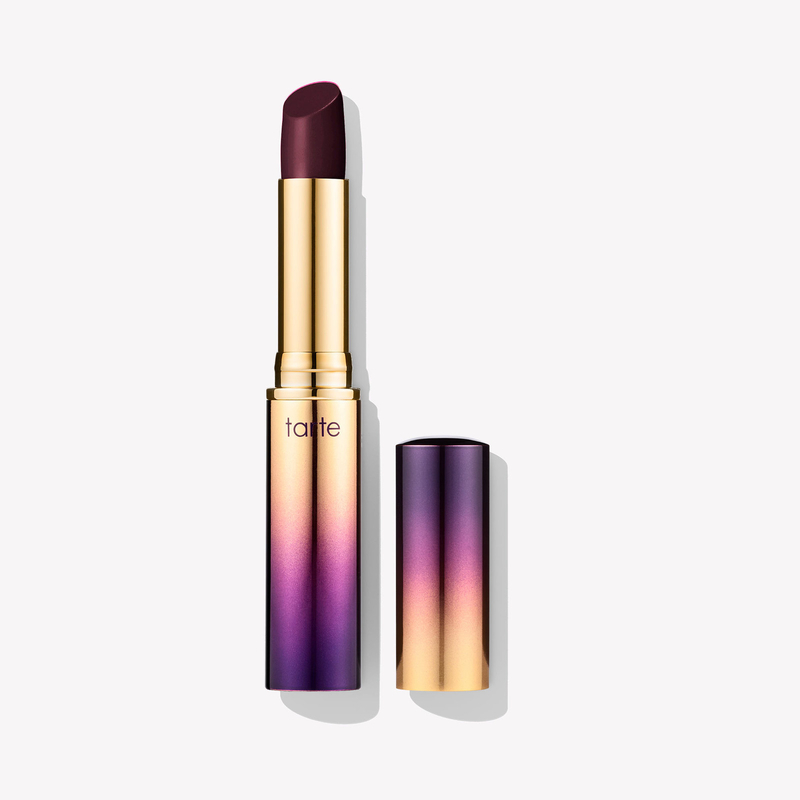 Obviously we all already know that Tarte is *the place* to score your vegan-friendly, cruelty-free beauty goodies. But now you can score ANYTHING for 25% off!!! Just enter promo code WEEKEND at checkout! I went ahead and picked out some *favorites* to save us precious time! LET'S GET. SHOPPING! 1. 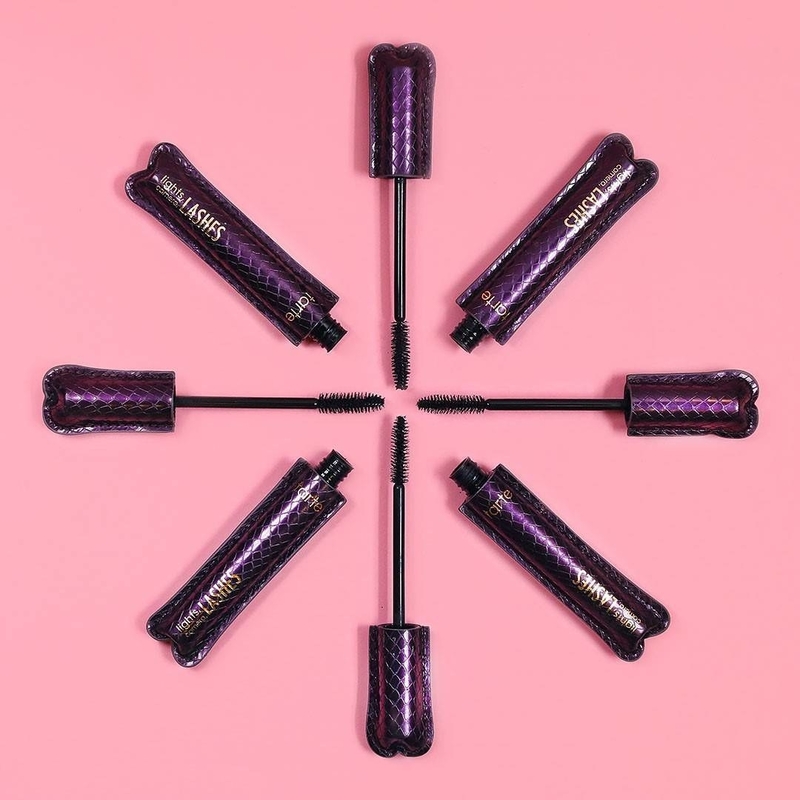 A lengthening mascara so you can give your lashes a lift no matter their length. Its 360° wand curls and separates every lash individually to create a natural-looking, voluminous finish. 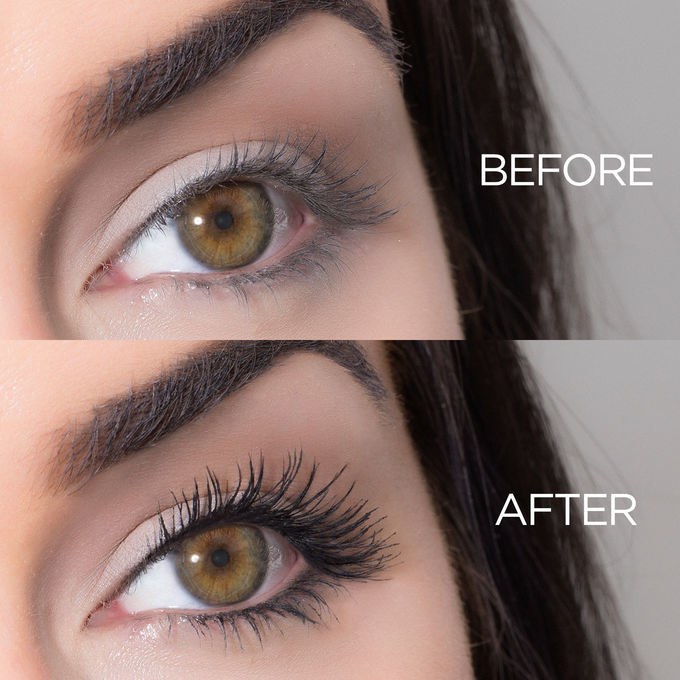 PLUS ingredients like provitamin B5 and rice bran soften and nourish your lashes to make sure you get it all: lengthening, volumizing, *and* conditioning. 2. A cult-favorite full-coverage foundation to put your skin first. It controls excess oil, provides a matte finish, and most importantly actually lets your skin *breathe*. AND it promises to never crease or fade. Don't worry: almost 4,215 people already LOVE it. AND it has SPF 15! Promising review: "I always find myself coming back to this foundation! It is definitely full coverage and covers all of my acne scars without making me feel/look cakey. As opposed to other foundations, this one actually feels good for my skin and doesn't affect any breakouts that I may have. Love it!" —Jackie G.
3. A set of vegan, cruelty-free brushes with softer-than-soft bristles and decor-worthy gold handles that'll be motivation enough to get up in time to do your makeup. Promising review: "The bristles on these are amazing! They're SO soft, yet so sturdy! They're PERFECT for highlighting and contouring MY FAVE!!" —Travis F.
4. A limited-edition eyeshadow palette with eight ~sunset-inspired~ shades, because these'll bring all-day golden hour to YOU. We're talking eye-catching, metallic formulas that are so satisfyingly buttery (hello, coconut oil), they'll glide right onto your lids. And do you SEE that pigmentation? Unreal. Not only does the coconut oil moisturize your eyelids, but marine plant extracts (that are loaded with antioxidants) help to reduce the appearance of fine lines! Shall we break down the shades? 5. A maracuja oil with vitamin C and essential fatty acids so you complexion naturally becomes smoother, firmer, and brighter — all in just a *drop*. AND it's great even for oily skin! Unreal. 6. 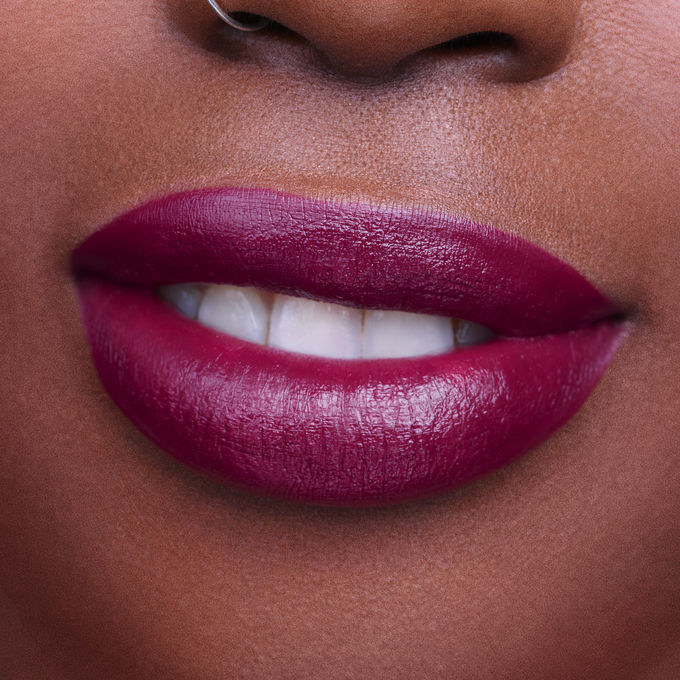 A hydrating lipstick for a winter where my lips aren't constantly chapped and my lipstick actually *moisturizes* my parched lips. Is this witchcraft? I support it. 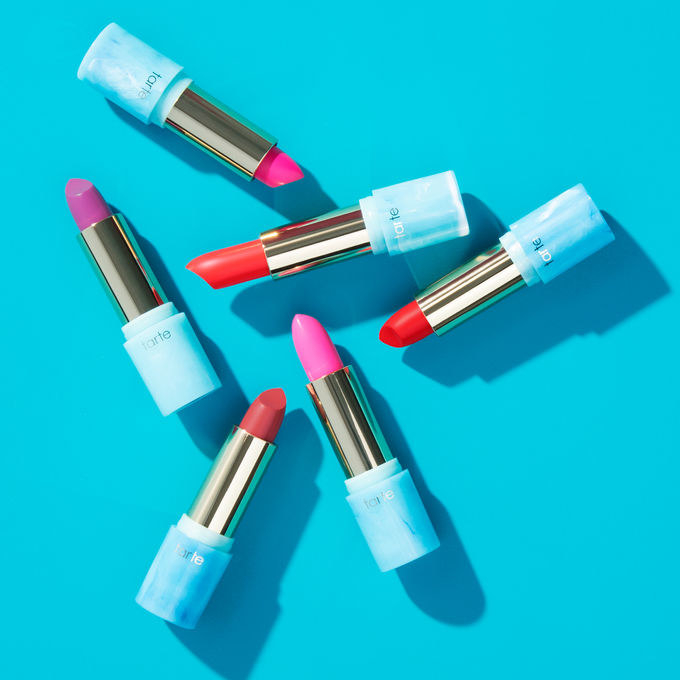 Think of this as the fanciest, most colorful lip balm of your darn life! And don't forget about that TWELVE HOUR WEAR. It's all in the antioxidant-rich marine plant extracts (to smooth, soften, and plump), shea butter (to help retain elasticity and protect against dryness), and olive oil (to keep lips soothed and healthy). 7. A wildly popular vegan gel moisturizer with *cooling features* that'll show dry, irritated skin the door. Its antioxidant-rich formula of marine plant extracts give a whole new meaning to glow up, aka you're about to live your best #nofilter life. 8. A limited-edition contour palette with not only just six numbered shades, but also a coordinating step-by-step guide. Consider this a course in Contouring 101 — but its easier than easy steps let you *graduate* to pro right away! Plus! Its ~super pigmented~ combo of matte and highlighter shades are packed with minerals to avoid creasing or flaking! Shall we break down the shades? 9. A waterproof precision eyeliner, because this has those of us who can't do a perfect cat eye to save our lives in mind. Its elongated, super-fine felt tip makes drawing a straight line feel like second nature. Not to mention its 12-hour wear lets you show it off all day and night. Go on, gloat — you've earned it. And! It's quick-dry to avoid smudging and is super pigmented — we're talking a triple-black formula. Does that make this the black diamond of eyeliners? ...YES. 10. A hydrating skincare set with moisturizer, hyaluronic H2O serum, radiance drops, a travel-sized face cleanser, and a limited-edition scrublet to make sure your skin is ~all clear~, even when traveling. * H2O hydrating boost moisturizer: to intensely hydrate even dry, flaky skin thanks to cooling features like hyaluronic acid and an electrolyte-packed, thirst-quenching formula. * Mermaid skin™ hyaluronic H2O serum: to layer under your moisturizer for extra hydration and skin elasticity. Its formula of hyaluronic acid, vitamin B5, and marine plant extracts will keep your skin pleasantly hydrated for up to ~12 hours~ and never leaves a greasy residue. * Rainforest of the Sea™ radiance drops: to use the four-in-one formula (hello, jojoba oil and vitamin E) as a highlighting foundation base, mixed with foundation for a dewy finish, over or under matte liquid lipstick for a flake-free pout, or as a dry oil on your face and body for super-hydrated skin. * Rainforest of the Sea™ deep dive cleansing gel: to remove excess oil, breakouts, and waterproof makeup without dehydrating your skin. Thanks to lavender, vitamin C, and marine plant extracts, your skin will be left super soft and hydrated. * Scrublet: to enhance the effects of your favorite cleanser. 11. 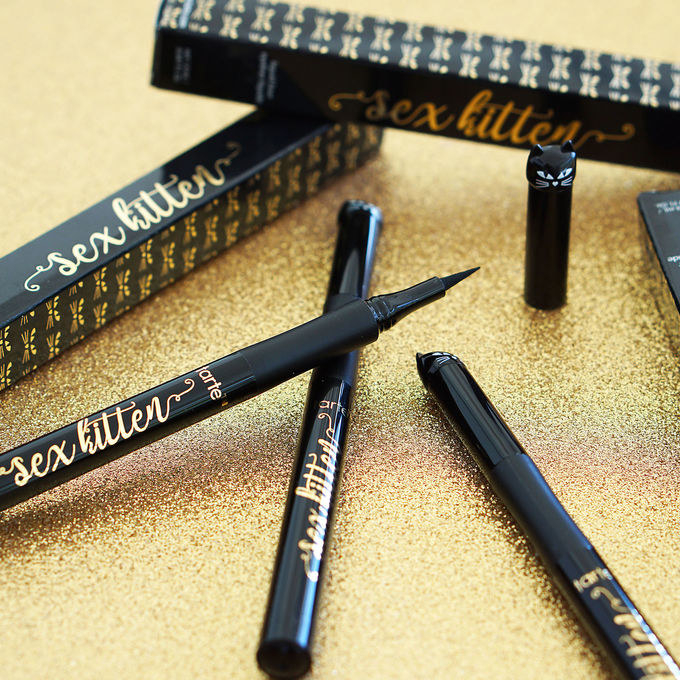 A double-ended liquid eyeliner trio that'll make achieving the perfect cat eye totally doable — dare I say easy. On one end, they boast a creamy self-sharpening pencil and on the other longwearing liquid eyeliners. Makeup is ~twice as nice~ when you can actually do it! 12. A makeup sponge and pineapple-shaped holder, because everyone's beauty routine should have a *sweet* side. Not to mention, the sponge holder will keep your new blender safe from icky bacteria. The sponge has a flat side for quick, easy blending, and a pointed side for contouring, concealing, and everything else in-between! 13. A best-selling hydrating foundation to *flake* on annoying dry patches. Its hypoallergenic formula adds a boost of skin-smoothing, oil-free hydration to parched complexions (not to mention refine pores!). AND it's super buildable so full-coverage is achieved in an instant. 14. 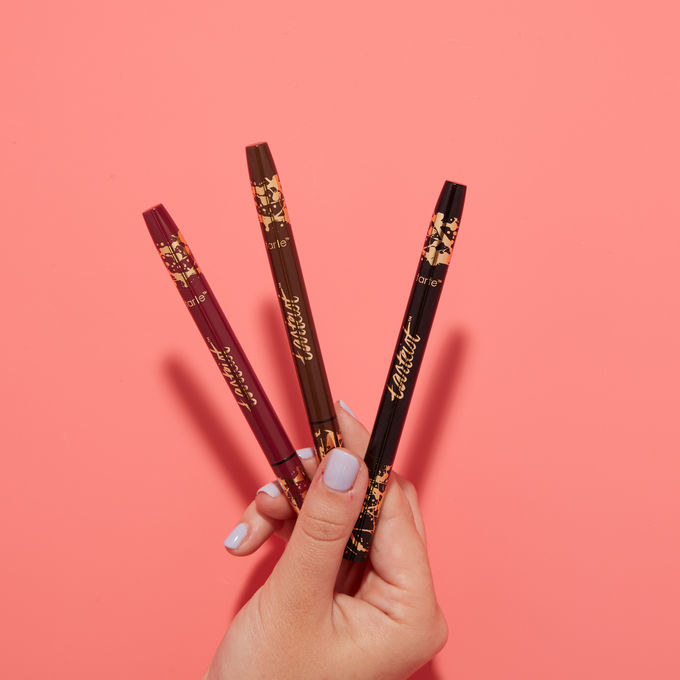 A three-in-one tinted brow gel for informing your brows that they will indeed become sisters today, if not at least cousins. Its ultra-precise brush gives your arches shape, tames hairs, and provides subtle shading! 15. 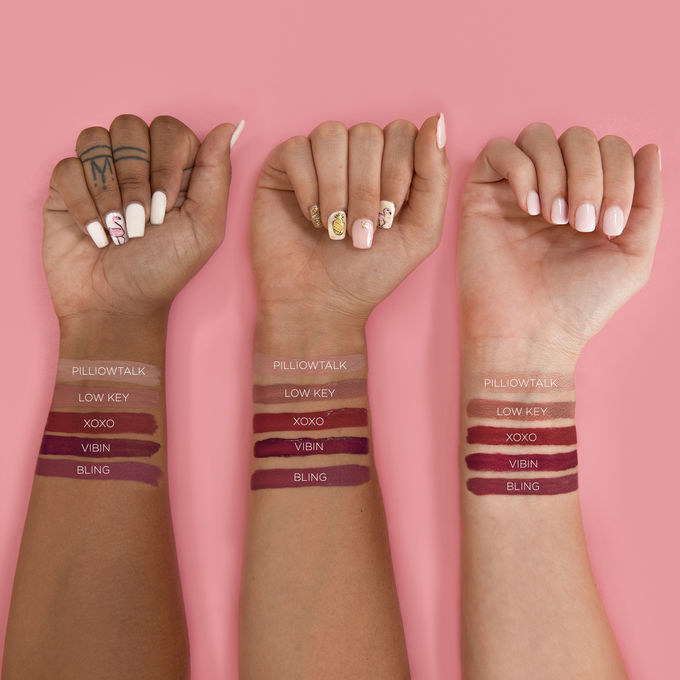 A matte lipstick with moisture-rich ingredients like antioxidant complexes, hydrating oils, and butters, because now we can ~flake~ on uneven, chapped puckers. 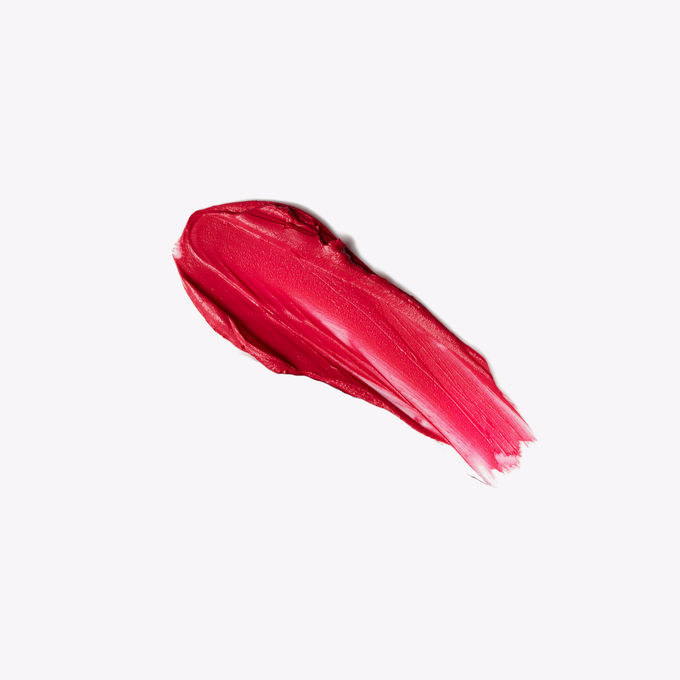 Not to mention its precise tip makes defining and contouring your lips easier than ever. 16. An easy-to-use clay palette with 12 mesmerizing shades (both matte and shimmering) that are literally arranged in a particular order to make creating your daily looks a no-brainer. This is officially rookie-approved! What are the shades, you say? 17. A magnetic palette to design a custom kit of all your favorite eyeshadow, highlighter, and blush shades so you can use your "essentials" (these are obviously more important than food) on-the-go. All Tarte shadows, highlighters, blushes, and bronzers can be removed from their case and attached magnetically to this palette! 18. A seriously-satisfying primer with blurring and filling technology to fade out pores, fine lines, and pimples — all while richly melting into your skin. Not only does this moisturize your complexion, but actually firms and *improves* your skin over time. 19. A color-correcting palette for evening discolorations, concealing acne, contouring, and brightening — all in one color wheel! Did I mention its numbered and comes with a guide? No mountain (of a pimple) is too high for this tool. The palette is even numbered and comes with a guide so even rookies can be a pro at color correcting. Want to know what each one does? 20. An Amazonian clay 12-hour blush that'll reward us the whole day for waking up in time to put on makeup. Considering it's pigmented enough to be done in a swipe, I'm confident we can handle its one-step requirements. AND I think we can all agree that we're intrigued by all these (nearly 3,275) positive reviews about how *soft* this blush is! 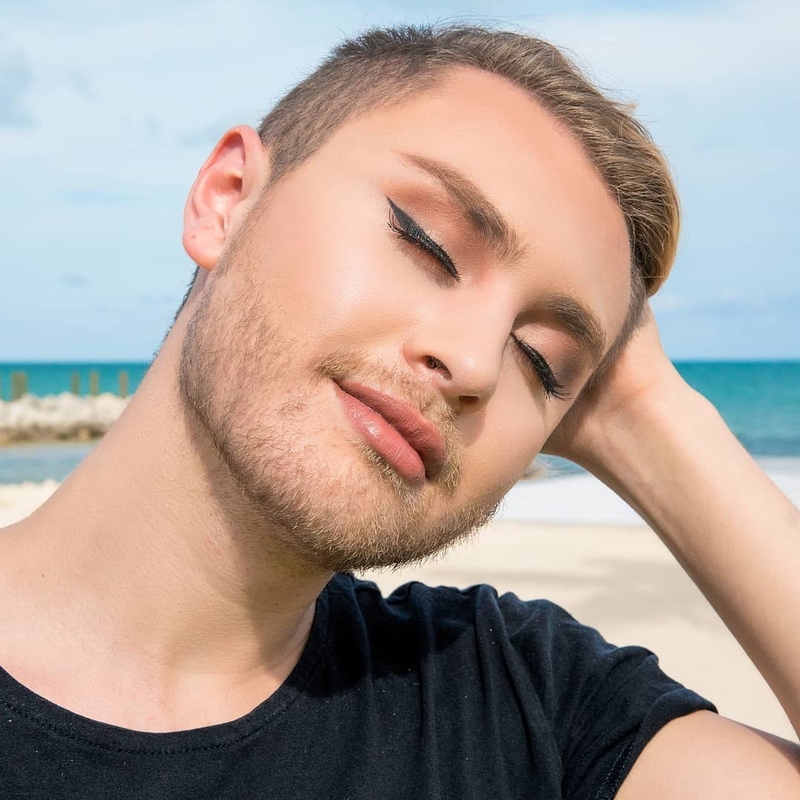 I want to feel cuddled by my makeup! 21. A pair of cruelty-free lashes, because these'll are everything you want: vegan, latex-free, and amazingly full and bold? BE STILL, MY HEART. Don't worry, they're super comfortable and gentle on even sensitive eyes! 22. A limited-edition eye and cheek palette so creamy and pigmented, you'll spend your whole morning admiring this — and then yourself. 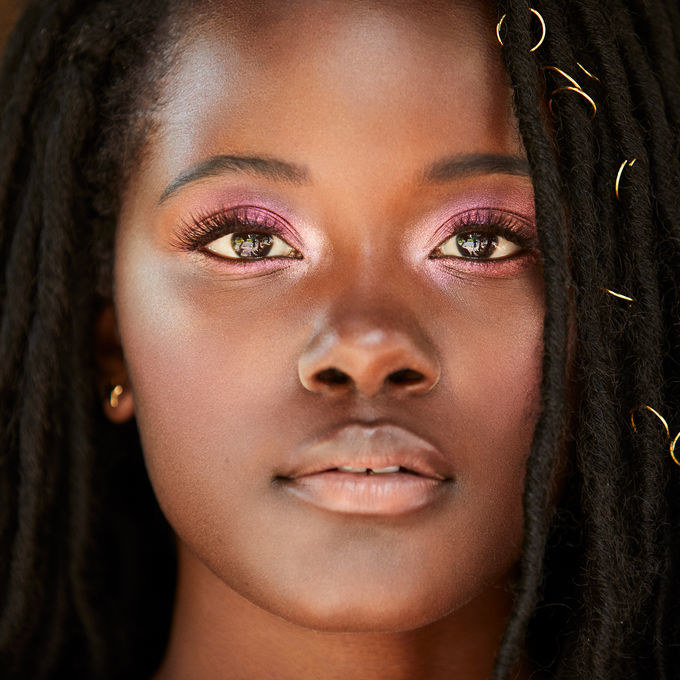 Are you glowing from happiness or these mesmerizing shades? Probably both. It comes with 10 metallic, shimmery eyeshadows and one highlighter! 23. An ingenious palette and clutch combination for saying so long to bringing cumbersome purses to holiday parties. We're talking a removable makeup palette with three Amazonian clay powder blushes, one bronzer, and one highlighter — plus a mirror and card-holding slot, all in an adorable glittery case. All other accessories are officially not doing enough. Did I mention all the shades are limited-edition? 24. 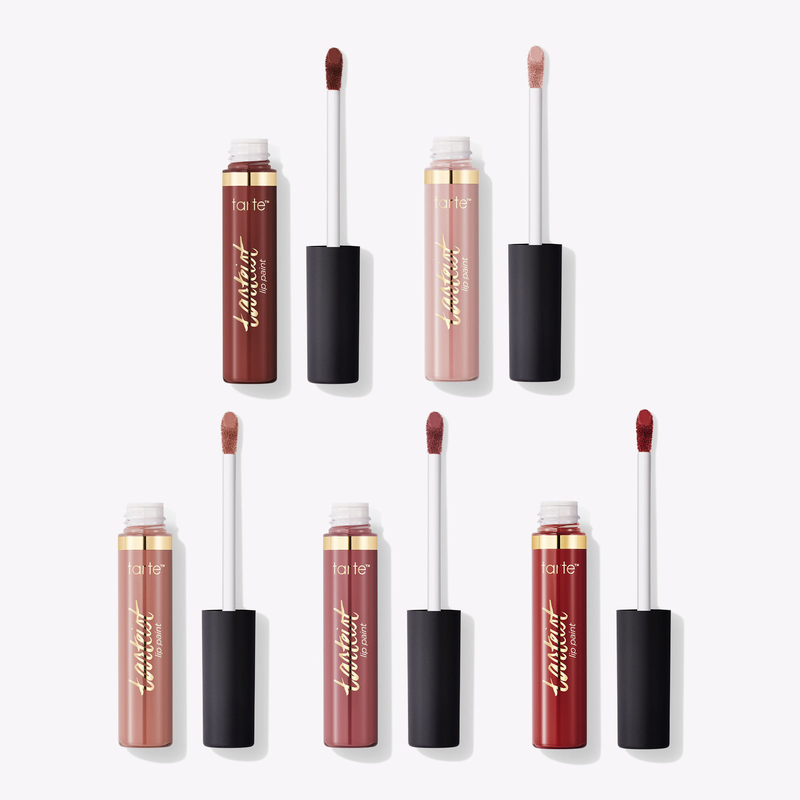 A set of best-selling, long-lasting liquid lipsticks with a quick-dry finish so you can *kiss* drying, uncomfortable makeup goodbye. These'll give you the same gorgeous matte finish *without* sacrificing comfort. 25. A setting powder brush, because a) just LOOK HOW FLUFFY and b) its loosely-packed bristles promise a effortlessly perfect application each and every time. Honestly mornings can't get better than with this. And it's vegan and cruelty-free! 26. A sweat-proof mascara that can actually keep up with you during intense workouts (yes, even swimming!). Its vegan formula lifts and volumizes while you squat, spin, or just take break. Tl;dr: you're the only one doing any running. AND! Its waterproof formula boasts Amazonian clay, vitamin C, and smoothing emollient waxes to soften, protect, and encourage thick, healthy lashes! 27. A limited-edition eyeshadow palette with a convenient brush that'll make doing your makeup in the car as easy as one, two, swipe. 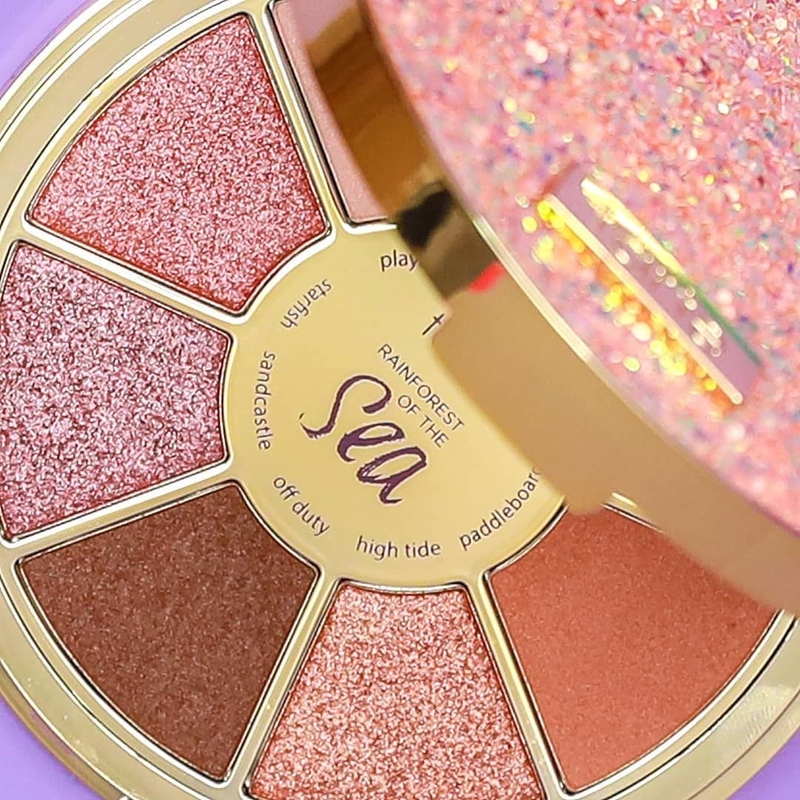 Be sure to check out the rest of Tarte's amazing selection for even MORE discounted beauty goodies! Don't forget to use promo code WEEKEND! When people try to tell you you're "spending too much" on deals....UMM we're SAVING money thank you.